I have tried raw avocado chocolate mousse and though I liked it, I can’t say that the rest of the family did. It’s actually the first dish that I’ve made that my husband could not eat (and that was before I disclosed the ingredients). To be fair, I think he was suspicious before trying it, it really wasn’t that bad. Unfortunately, I thought it would make the perfect dessert for our Valentine meal! My daughter also quickly decided that it was not too her taste so I was left with a large amount of chocolate mousse all for myself. Not a bad thing, is it?! I am not going to stay defeated on that one. I will try to make a different version that I am sure we will all love…. In the meantime, I thought I’ll go down the tofu route. 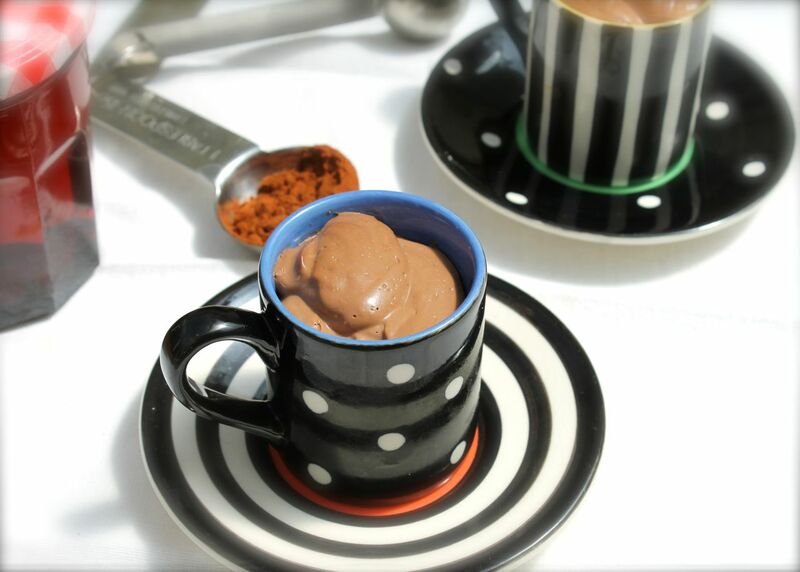 If the raw chocolate mousse didn’t cut it for my family, this recipe was a clear winner. The bowls were polished in a record time and seconds were demanded. Yes, seconds! Did I mention that those delicious little cups have no added fat and only very little natural sugar added to them? I told you, it was a winner. OK, there is a questionable amount of dark chocolate but with all its anti oxidants, well you are doing good by your body so enjoy guilt free. 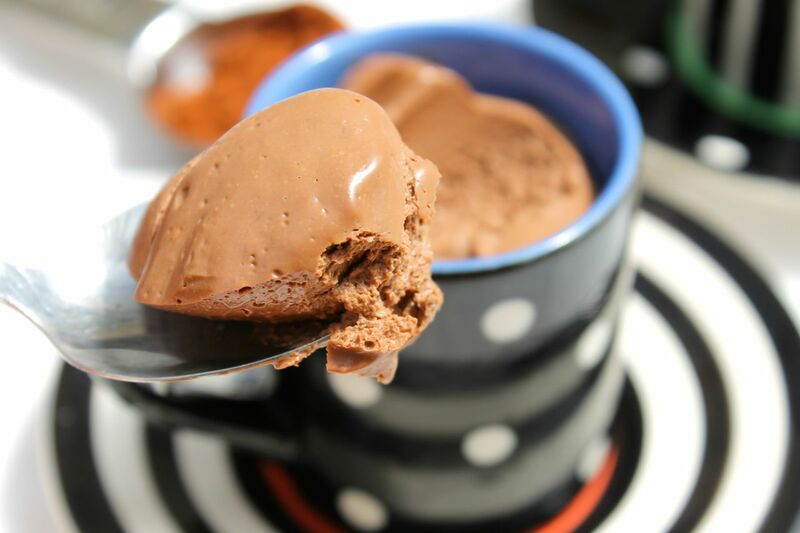 This is a fab healthier alternative to a regular chocolate mousse and no one will know it’s vegan or contains tofu unless you give away the ingredients. It tastes so rich and chocolaty that your guests will have to stop themseves from licking the bowls but don’t go mad on the size portion as it is a rich mousse so do apply some self-control! 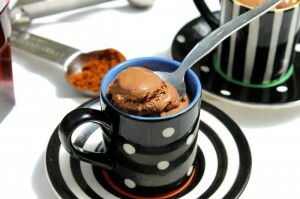 This chocolate mousse is deliciously rich and chocolaty. Melt the dark chocolate in a bain-marie or microwave if your prefer. Then put aside for a few minutes to cool down. In the meantime, put the silken tofu, maple syrup and cocoa powder in a blender and blend until smooth. A hand blender works fine for this as well. Add the melted chocolate and blend again. Add a splash of milk if too thick and pour into 6 small dishes then place in the fridge for about 3 hours. Now all you need to do is wait a bit before you can enjoy it. This entry was posted in Recipes, Sweet Things, Vegan, Vegetarian.